MOSCOW, January 13. /TASS/. Russia’s Spektr-R space radio telescope failed to respond to commands from the Earth on Sunday and the attempts to restore control of it will continue on Monday afternoon, Adviser on Science to Roscosmos State Space Corporation’s Director General Alexander Bloshenko told TASS. "Today’s program of an effort to try to contact with the spacecraft has ended. Now a meeting of the operational and technical leadership is underway on the outcome," Bloshenko said. The effort to establish contact with Spektr-R will continue after 7 p.m. on Monday when it will be seen by both earth stations, Medvezhji Ozera and Ussuriysk. "We are planning to repeat today’s program of work," he said. Spektr-R was launched in 2011 and the warranty period of its active operation expired back in 2014. 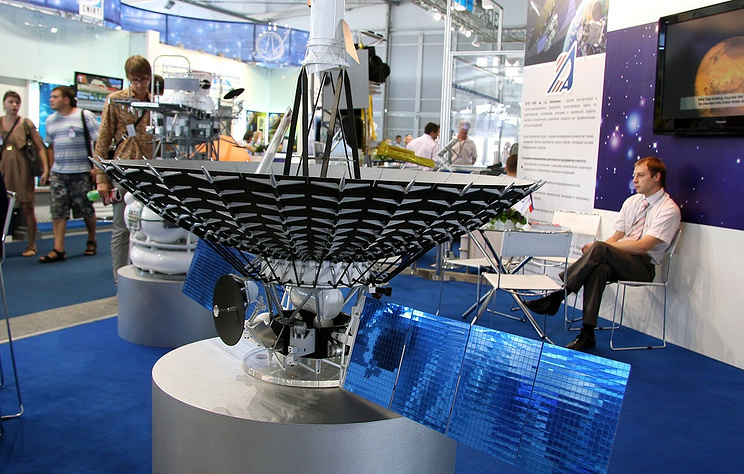 Before this year, the radio telescope continued tackling targeted tasks, Roscosmos said. According to Alexander Bloshenko, a scientific advisor to the head of Russia’s space corporation Roscosmos, the telescope’s active operations lasted 2.5 times longer than expected. CEO of Russia’s state space corporation Roscosmos Dmitry Rogozin has asked to speed up analysis of data from the Spektr-R space radio telescope ahead of the launch of the Spektr-RG observatory that is to replace the Radioastron project satellite in April, Bloshenko told. "Rogozin has demanded focus be made on the preparations form the April launch of the Spektr-RG that is to replace the Spektr-R, which has outlives its lifespan by 2.5 times. In particular, the corporation’s director general has asked the Russian Academy of Sciences to speed up the analysis of data received from the current orbiter," he said. Roscosmos told TASS earlier that Sunday’s attempt to regain control of the old Spektr-R satellite had failed. More attempts will be made on Monday. The Gazeta.ru internet portal said on Friday evening, citing the Radioastron project head and corresponding member of the Russian Academy of Sciences Yuri Kovalev, that there are problems with the Spektr-R spacecraft. Nikolai Kardashev, a member of the Russian Academy of Sciences and director of the Astrospace Center (the Radiosastron project contractor), told TASS that there are problems with the satellite’s control although a signal from it is received.